As an offering for Holy Week, I present this unusual icon by a contemporary Serbian iconographer called Nikola Sarić. 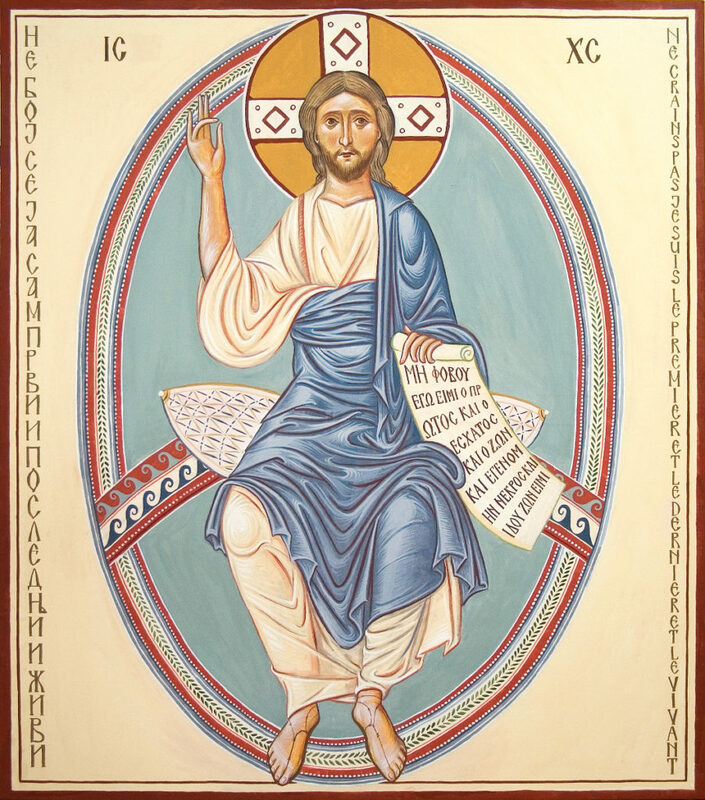 I reflected on Lazarus in particular immediately prior to and on Palm Sunday, and through this, I know that the bodily resurrection is offered to me, too, in a form that is full and permanent, through God’s infinite mercy and power. This recollection helps me to retain hope in the days that follow, as we live through the Passion in Holy Week, and in the understanding that the events that followed are precisely those that open up this path for us. Here are icons of the crucifixion and the Risen Christ in Majesty. We can see that the artist has an unusual style. Some Orthodox have objected that they are unsuitable for the liturgy, since they depart a little too far from the traditional style. 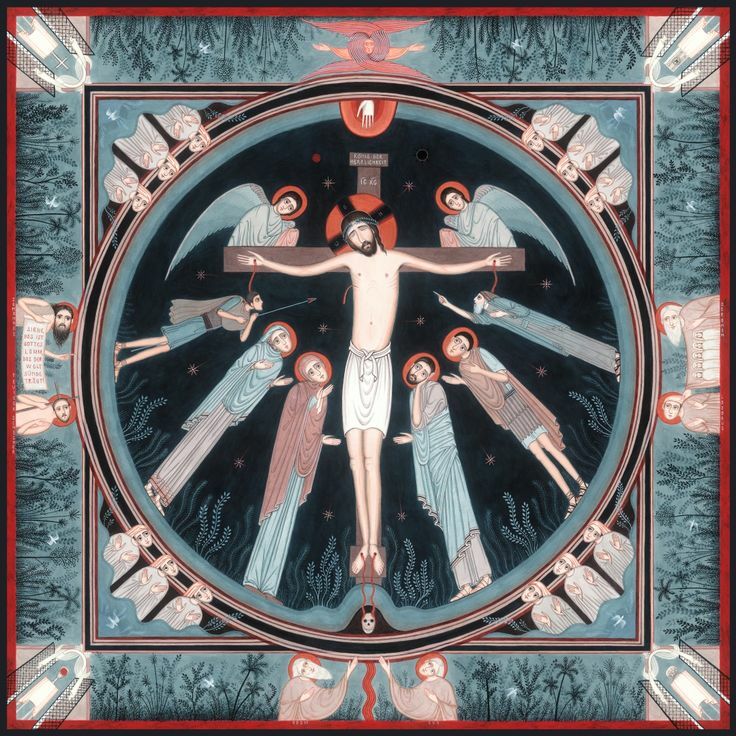 For example, the rotation of the heads by 90 degrees in order to show the figures looking to heaven has been criticized, on the stylistic grounds that icons portray the redeemed Saint, and even though they might illustrate an historic event, heaven is always present, shining through them. My response to this is that narrative icons, such as festal icons, are always a balance between an account of historic events - portrayed through content - and the eternal, portrayed through style and content. Therefore, while this is an unusual feature, to my eye, Sarić’s works do maintain an iconographically appropriate balance between the eternal and the temporal. 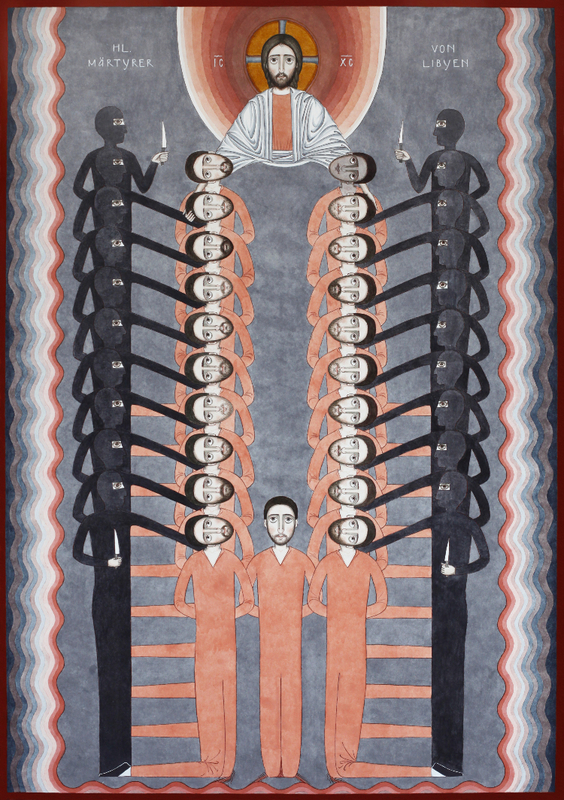 To finish, here is an icon of the new Coptic martyrs of Libya for us to contemplate as we go through Holy Week. The work is particularly skilled here; the artist has presented a scene that is familiar to us through a video, but in a way that it is both fully in his iconographic style, and yet also recognizable as this contemporary event. 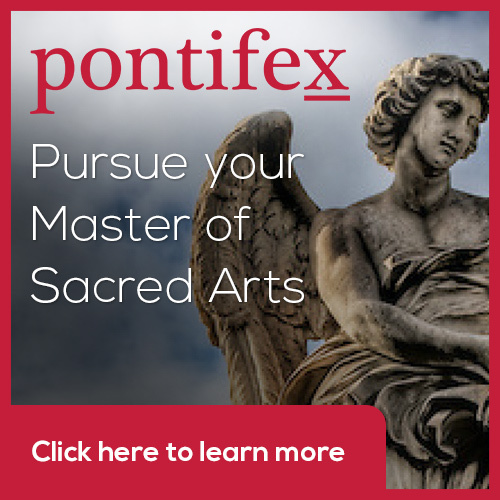 For those who are interested, we discuss all of these issus that modern sacred artists face in the courses of the Master of Sacred Arts program at www.Pontifex.University. 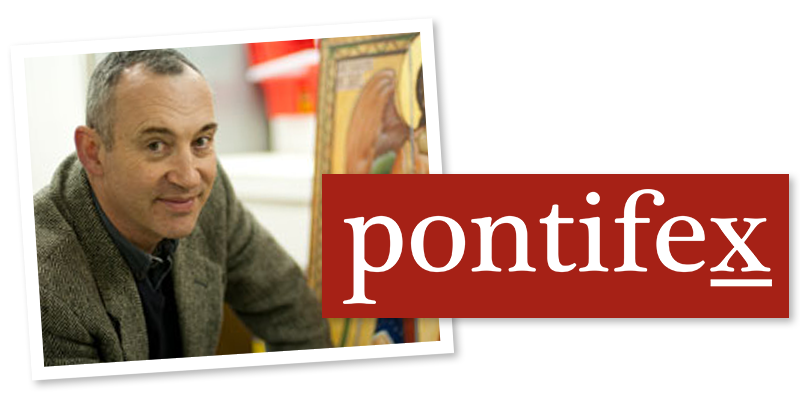 This is a theoretical program which is intended as a formation for artists in any creative discipline, patrons of the arts, and those who wish to contribute to the New Evangelization. Newer PostA Fire in a Cathedral? Why So Sad?